Sizeable cryptocurrency transactions will “come to the attention of the ATO” under new rules that came into effect this week, so a mid-tier firm has put together a checklist of key considerations to keep SMSF investors compliant. As of today, all cryptocurrency exchanges must be signed up to a new Digital Currency Exchange Register. Transactions exceeding $10,000 must also be reported to AUSTRAC to meet existing rules for bank transfers and cash transactions. “People will need to be ready to explain not only where the money came from, but also to show that they have followed the ATO’s rules,” said partner at HLB Mann Judd, Peter Bembrick. “A critical aspect for an SMSF’s compliance is having the right documentation to establish that the investment has been made by the fund, as well as keeping track of the market value annually and recording disposals, gains and losses,” Mr Bembrick told SMSF Adviser. Ignorance of the tax-related consequences of cryptocurrency exchanges is not adequate defence, particularly given the very public campaigning of the ATO about cryptocurrency in the lead up to tax time. Generally speaking, the ATO would treat activities to acquire cryptocurrency by mining additional units as a business, and the value of units acquired would be assessable income in the year of acquisition. 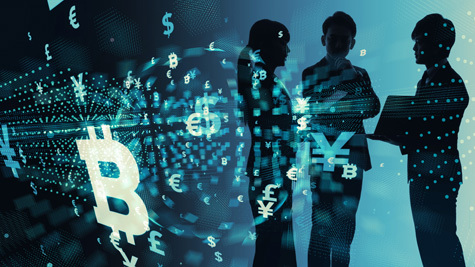 “On the assumption that the cryptocurrency units are treated as either trading stock or CGT assets, however, then any further unrealised increased in the value of units held will not be taxable until they are eventually realised on a later disposal,” Mr Bembrick said. “In addition, if there are direct costs such as electricity or the depreciation of equipment dedicated to cryptocurrency mining activities, these should be tax deductible against the income received from the cryptocurrency mining business,” he said. The ATO will accept that cryptocurrency is a personal use asset if it can be shown that it was acquired purely to hold and then exchange for other goods and services, and not with the intention of making a profit or in the course of carrying on a business, Mr Bembrick said. A personal use asset — with examples including a car, boat or holiday home — is exempt from CGT if it costs less than $10,000. “However, the question of intention can be quite subjective and is not always so easy to prove,” Mr Bembrick said. Contrary to some client chatter, if someone is paid in cryptocurrency for goods or services they provide in the course of carrying on a business, this payment is still taxable. “The ATO views this in just the same way as being paid with other goods or services, that is, as a form of barter arrangement. The taxable amount is the AUD value of the non-cash consideration for the goods or services at the time of the transaction,” Mr Bembrick said. “Similarly, if cryptocurrency is used to pay for goods and services in the course of carrying on a business, the AUD value of the payment would be treated for tax purposes in the same way as if you had paid the equivalent amount in cash,” he said. As the ATO indicated in its guidance note last year, there is a taxable capital gain when a cryptocurrency unit is sold for more than the purchase price, and a capital loss when it is sold for less than originally paid. “The capital gain or loss needs to be recorded on the personal tax records, just as any other investment such as shares,” Mr Bembrick said. “For Australian residents who have held the cryptocurrency for at least 12 months, a 50 per cent CGT discount can be claimed, meaning they only pay CGT on half of the actual gain,” he added. Further, it’s important clients are aware of the difference between investor and trader for tax purposes. “Just like other investments, be aware that the ATO may treat some investors as a trader or speculator. This means that, if the purpose of buying and selling cryptocurrency was for short-term profit rather than long-term capital growth, then any gains would simply be taxed as personal income, without any access to the CGT discount and without the ability to offset any capital losses from other investments against the cryptocurrency gains,” Mr Bembrick said. “The only good news is that trading losses can be offset against other types of income,” he added. Cryptocurrency, such as bitcoin, is not a currency, but rather is treated as an asset for tax purposes. Consequently, the price in Australian dollars will change over time, which is important because it means that there are tax consequences from the purchase or sale of a unit of cryptocurrency. “As with other investments, the exact nature of the tax implications will depend on the taxpayer’s related activities as well as their intention when they acquired the cryptocurrency,” Mr Bembrick said.